Additional resource materials related to groundwater dependent ecosystems and sustainable groundwater management are identified with links to those materials. Please Contact Us if you have a relevant additional resource to recommend we include in the Groundwater Resource Hub. This paper compares existing global policy initiatives for the protection and management of GDEs; synthesizes Australia's adaptive management approach of GDEs in their state water plans; and highlights opportunities and challenges of applying Australia's approach for managing GDEs under other water management policies worldwide. Most groundwater conservation and management efforts focus on protecting groundwater for drinking water, agriculture and other human uses with little consideration of the ecosystems that depend on groundwater. 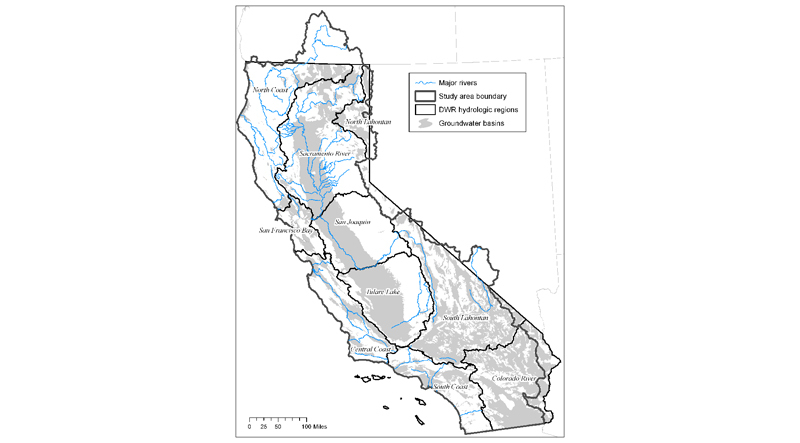 This work illuminates the connection between groundwater and surface ecosystems and was the first to identify and map the distribution of GDEs in California. Technical information on the state of streams and groundwater resources in California’s Central Valley is reviewed and presented graphically. 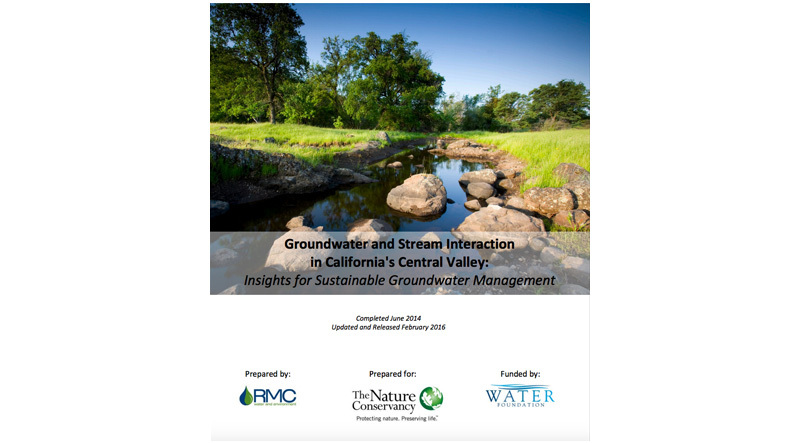 The physical inter-relationship between the surface and groundwater resources and the impacts that groundwater pumping has had and is currently having on Central Valley rivers and streams is illustrated. 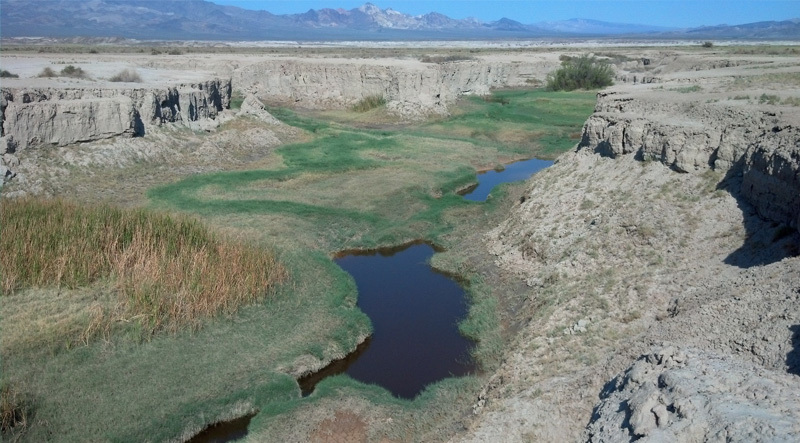 The Amargosa River flows through the Mojave Desert as part of a unique and threatened groundwater dependent ecosystem. 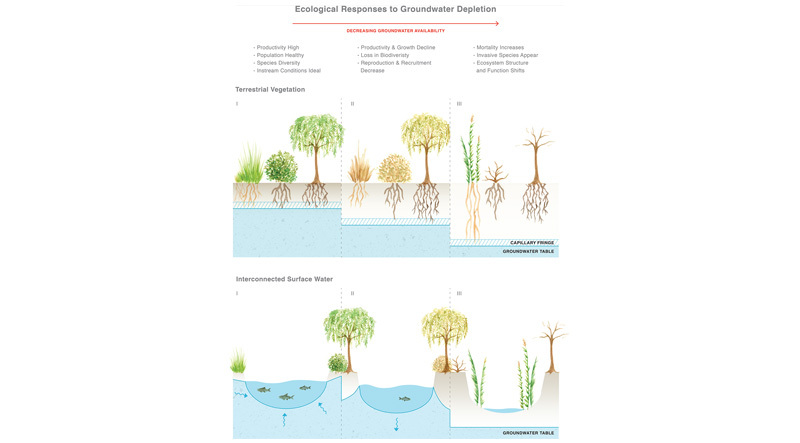 This article reviews the challenges in protecting this one of a kind environment that dependent on the continued availability of groundwater. Groundwater dependent ecosystems are coming into focus under the Sustainable Groundwater Management Act. New information and increased communication will fuel the opportunity to preserve the things we care about in California.